Why is automation important in today's digital world? Accounting is conservative. The double entry is known for six centuries, warrants from the beginning of the twentieth century. And since the 90s the world has covered a wave of computerization. Let us understand what it is, considers the advantages and mechanisms of the transition from manual labor to the use of specialized applications. In the era of business contacts and lack of time, every invention becomes valuable, allowing making better interaction with the client. This is not only a real saving of time but also the quality and clarity of the execution of tasks. How many customers do companies have today? Hundreds, thousands? And if you need to work with several? Often it is, but is there enough time for a modern person to process hundreds and thousands of clients in a matter of days or even hours? The most effective way of keeping financial statements is automation. Enterprises of any size can implement such a system both with the involvement of third parties and independently. Assigning the above tasks to the equipment does not mean that the role of the specialist has been devalued. 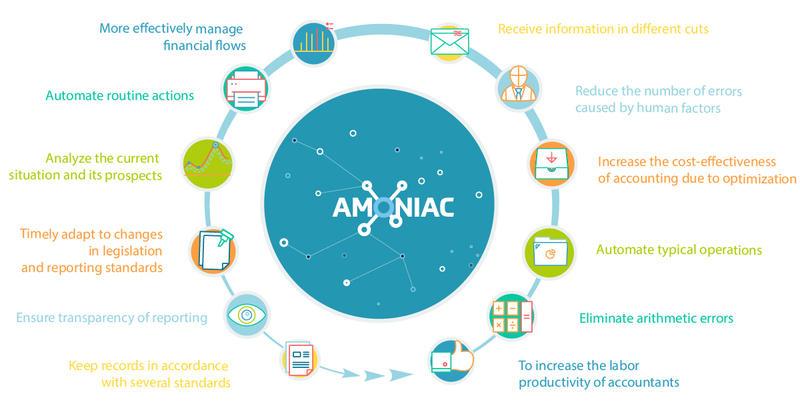 On the contrary, the load on it increases, it decides on the way operations are reflected in the system, carries out analytical and control procedures, performs the primary registration of documents in the database. Accounting automation is accounting in the enterprise with the use of information technology and can be local when a specific area of accounting is covered and complete or complex when automation of all sections of the enterprise’s accounting covered. — trends in arrears, etc. Without a computer, only micro-enterprises are allowed, who are permitted by law to submit paper reports. Other economic entities are required to digitize the data. As a result, even medium and small firms at least partially use computers in accounting. Managers and owners, thanks to technology, know the state of finances, the number of goods in warehouses, current revenue. Business and settlement transactions are tracked in real time. Regular asset control minimizes the likelihood of abuse. The variants of grouping, sampling, multistage sorting of information increase many times, advanced features improve the quality of management decisions. Accountants are exempt from routine mathematical operations, filling out forms and drawing up statements. The time is increased for carrying out control checks, advanced training, and interaction with contractors. Employees within a few minutes receive information and extracts from the financial, economic and personnel services. Well-established workflow eliminates production downtime or delayed shipment from the warehouse due to the long preparation of invoices and bills. Signed by electronic signature acts and invoices reach customers in moments instead of several days. Even sent a few minutes before the end of the day, reports are accepted in the tax offices or funds, and fines for late filing are not assigned. Modern technology is expensive. However, not only because of the price, their choice should be approached responsibly. Changing the application from one to another leads to unplanned spending of money and effort, brings serious discomfort to the team. The transition period is fraught with errors, the consequences of which are penalties or unjustified overpayments to the budget. Analysis of the need for automation, performed by its own or attracted auditor. Accounting optimization is performed by its own or attracted highly qualified accountant to prevent existing errors from entering the system. The choice of scales determines the area and sequence in which the automation of accounting sections will be carried out. The choice of software and hardware. Experienced testing and timely system update. — job descriptions of employees involved in the processes (including storekeepers, personnel officers, suppliers, representatives of the sales department). — distribution of official duties. The conducted training reveals the scale of the upcoming update, which services need a common base, and which ones are autonomous, whether to stop at the local version or the interaction takes place in the network mode. Identify the strengths and weaknesses of the workflow. The decision is made to reorganize the state or to preserve the existing structure. The developers of relational databases characterize the listed steps as an optimization. After the generalization and analysis of data, the manager formulates the terms of reference. — the allocated budget, taking into account the subsequent service. An important component is the development of classifiers and coding methods. A competent approach to this issue minimizes the risks of duplication of positions and clogging of analytical reports. For example, twice the name of the material entered into the database can confuse the inventory, distort the number of material costs. The repetition in the directory of the counterparty overstates the receivables and payables, complicates the reconciliation of settlements. — availability of network and local versions. — ensure transparency of reporting. — “pseudo-automation”, without optimization, before implementation, accounting actions can be performed as previously on paper, and then additionally entered into the program. What systems our guys work with? The Norwegian company Visma Group consists of five business areas: SMB, Enterprise, Commerce Solutions, Custom Solutions and Cloud Infrastructure Services. Netvisor is one of the accounting systems owned by the company and occupying a leading position in the entire Northern region, as well as in the Benelux countries, Central and Eastern Europe. - collect debts with the help of the Netvisor team, etc. Another solution from the Norwegian company Visma Group. Visma eAccounting online accounting solution that helps small businesses start, work and grow as a professional. The service allows us to work on autopilot, automate manual transactions and standardize processes. Also verify banking transactions and be aware of what needs to be communicated and when. Visma eAccounting allows you to simplify bookkeeping with booking offers, scanning receipts from a mobile phone, registering invoices and vendor receipts. Thanks to the system, you can send bills from your mobile phone and be sure that they will be received instantly and safely. 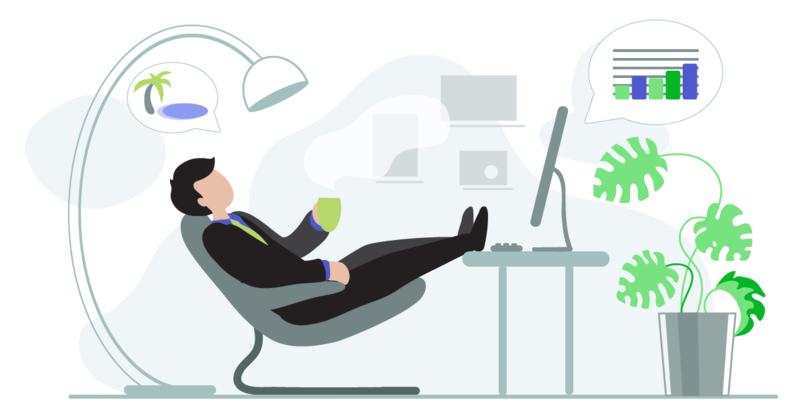 Get paid faster with automatic invoice processing. Visma eAccounting allows you to use intelligent mobile applications to track expenses, send invoices and track business, regardless of location. Visma eAccounting creates payroll without manual calculations and sends them directly to the mobile phone of employees, automatically calculates taxes and maintains automatic reporting to the authorities. The Swedish accounting company Fortnox is one of the leaders in the region and today we are on the way of partnership and the development of ready-made solutions for the company's customers. The company itself is focused on solving simple and effective administration and financing issues using cloud platforms. Every day, Fortnox challenges the old, inefficient methods of work and replaces them with intelligent and automated solutions. In addition to popular solutions such as Billing, Accounting, Inventory, Payroll and Expense Management, these are also hundreds of industry solutions from other suppliers that are integrated into the Fortnox platform. The system can connect, integrate with various types of programs and services, such as cash registers, online stores, workflow systems. The smartest thing is that everything that is being done is available everywhere and always, on the same platform. It is ideal when you have the opportunity to work and travel and work through the Fortnox application on mobile phone. 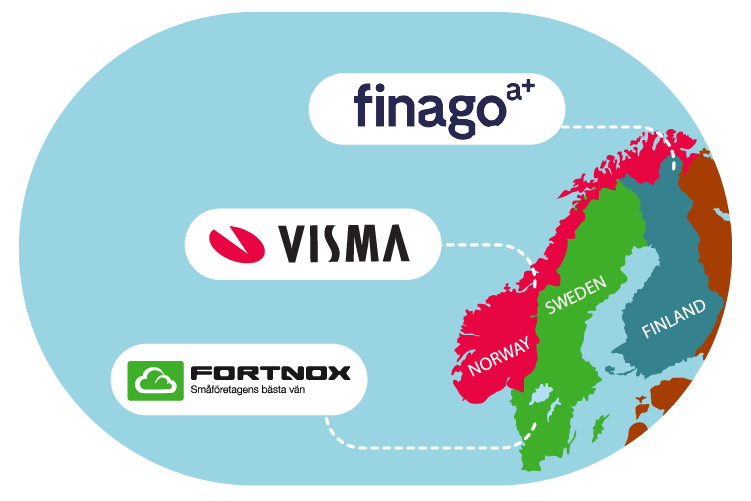 Finago is the leading Finnish financial management software provider. The company offers clients cloud-based financial management software and related services under a single agreement. The company's products, Procountor and Tikon, are convenient and effective tools, also ideal for demanding professional use. - provides free customer service. Finago is a pioneer in digital financial management. The company helps businesses and bookkeeping manage their finances easily, reliably, and efficiently by providing them with excellent financial management software. Finago position that digitalization makes financial management more modern, flexible and efficient, thereby providing companies with a new kind of added value. Automation is the answer to the increasing competition and the widespread proliferation of computer technology. Bank, tax, Pension Fund accept documents on digital media or via the Internet. Suppliers and buyers rush to provide documentation. Computerization of finance and management becomes a security issue. Only prompt registration of all business facts and transparent accounting provide an adequate level of control, as well as flexibility in making management decisions. Now we are on the way of obtaining partner expertise with Fortnox and Netvisor companies, which means that we can offer not only wholly new individual developments but also ready-made solutions for automation and optimal work of specialists in companies with hierarchies of any level of complexity.